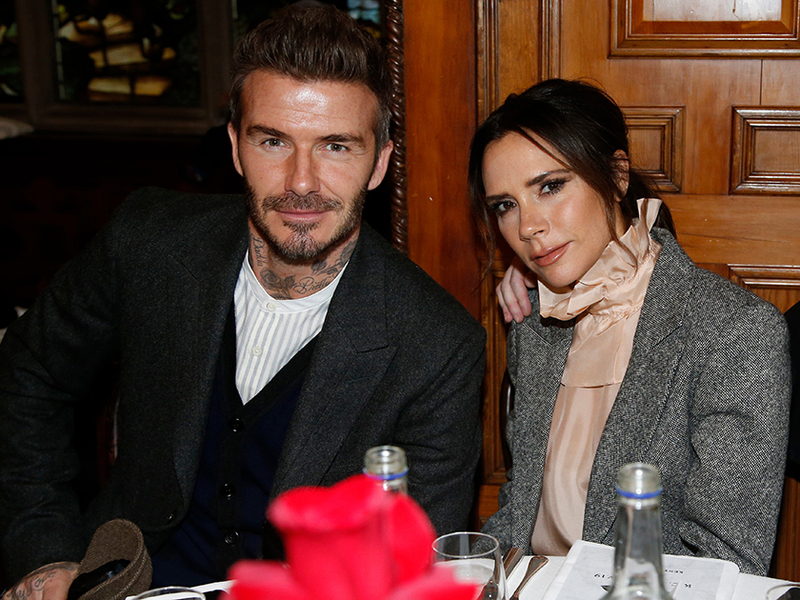 It looks like Victoria Beckham has been well and truly spoiled this Valentine’s Day as she’s revealed the adorable presents her family gave her. 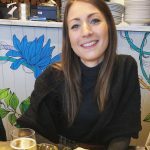 Taking to Instagram, the 44-year-old shared a glimpse of the FIVE bouquets of flowers covering her dining room table. 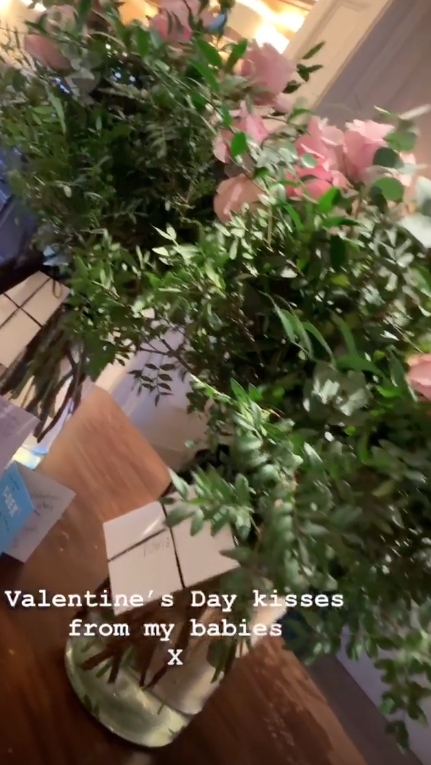 In the video, the beautiful blooms – assumably from her kids and husband David Beckham, 43, – can be seen all lined up alongside some colourful cards. ‘Valentine’s Day kisses from my babies,’ the Spice Girls star wrote alongside the clip. 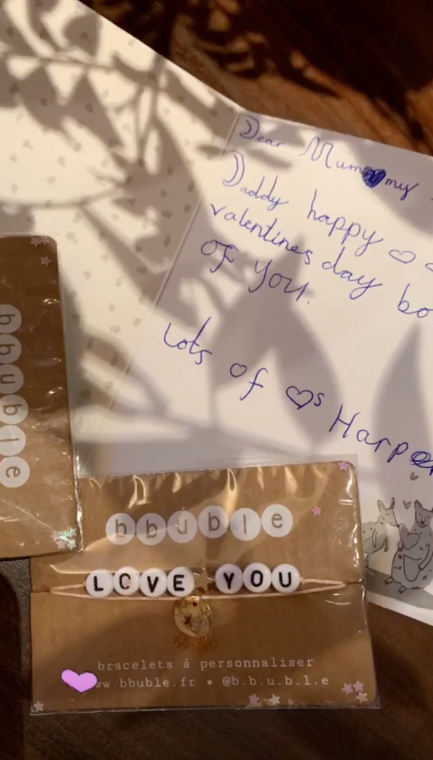 Mum-of-four, Vic – who shares Brooklyn, 19, Romeo, 16, Cruz, 13, and Harper, seven, with David – then went on to share a snap of two more cards from her kids. 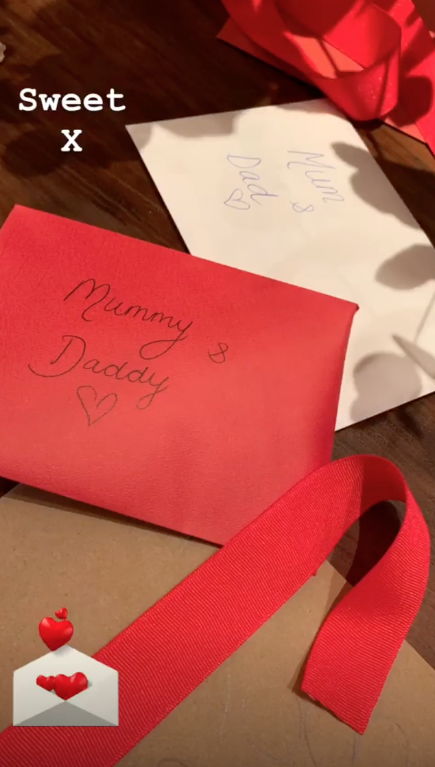 The red and white envelopes simply say ‘Mum & Dad’ with a heart and some ribbon. Melting our hearts even more, the fashion designer then went on to post a photo of the cute gift daughter Harper bought her A-List parents. While a message on the card reads: ‘Dear Mummy and Daddy. Happy Valentine’s Day both of you. Lot’s of love Harper,’ the youngest Beckham also bought some personalised bracelets with the words ‘love you’ on them. 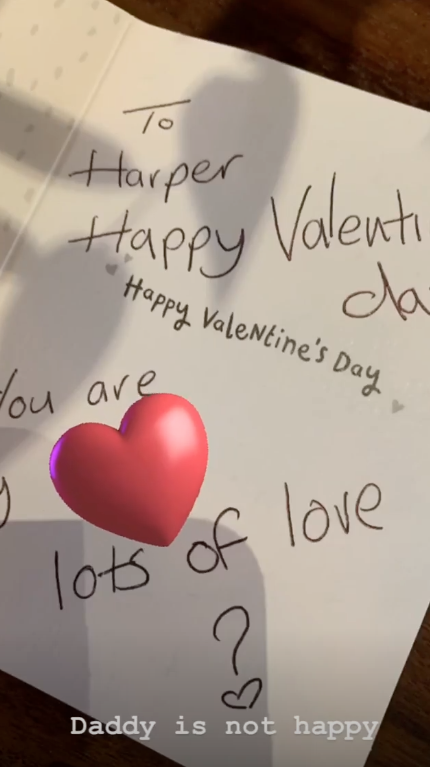 But while Victoria seems pretty chuffed with her adorable presents, football star David isn’t so happy after his daughter received her very own Valentine’s card from a mystery sender. Although we reckon it’s pretty likely Vic wrote the card herself, she joked alongside the snap: ‘daddy isn’t happy’. This comes after Victoria recently gushed over her husband of 20 years, admitting she’d been lucky enough to find her ‘soulmate’. Speaking on Good Morning America, the former popstar said: ‘I’m really lucky. ‘With David I really found my soulmate. He’s a great husband, a fantastic dad.